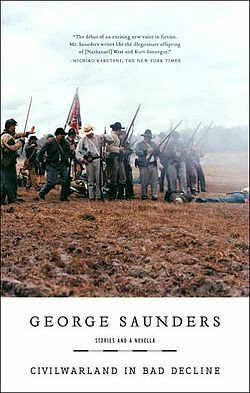 For as much as Slaughterhouse-Five and Catch-22 and Mark Twain and dozens of others of the recent or more distant past have had on my perspective about what fiction can do, George Saunders has in so many ways eclipsed them. Perhaps it's because I've had several wonderful encounters with Saunders over the years (not that we're friends by any means, though I can dream, can't I? ), but there is such an earnestness to his work and his humor that adds to its potency. The man, himself, in my limited experience, seems to exude these characteristics as well. Though I'm only remarking on two of Saunders' books here, I could just easily include everything he's ever published. It's all very worthy of your time and attention. Rather, I'll let you investigate the entirety of his work yourself. I'll say a few things about the works of his that have resonated most powerfully, and which I return to most frequently. Allow me to begin with the one I consider more formative of the two: The Brief and Frightening Reign of Phil (Riverhead Trade, 2005). A marvel, truly. Few books have captured the attention of summer school students I've taught like this one has. Humorous, certainly, in all the bombastic and wondrously whimsical ways Saunders tends to be. 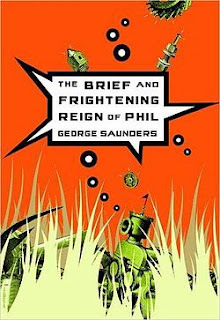 Students identify with the plight of the Inner-Hornerites, their subjugation at the hands of the Outer-Hornerites and specifically a tyrannical, megalomaniacal jackass named Phil, whose cruelty and justification for his cruelty likewise are salient through the eyes of those he oppresses, and those sympathetic to the oppressed. We learn more about Phil than that, though. He's not merely a villain, to be sure. Phil's sad early life is given its due, is taken into consideration. It's not impossible to imagine that Hitler, too, could evoke our sympathy were we to more closely scrutinize his early life, his abusive father, his intense struggle with failure creatively. But like Hitler and the great many other despots who've come and gone in time, Phil is judged ultimately and quite reasonably by his most significant actions -- which is, indeed, a lesson for us all. Of all of my favorite Saunders short stories, and there are many, I think more than half are contained within the pages of CivilWarLand in Bad Decline (Vintage, 1997). In fact, the only ones not included in this collection that I can definitely say I'd immediately miss are, "Sea Oak," "Escape from Spiderhead," and "The Tenth of December." The titular story in CivilWarLand, meanwhile, is really spectacular. I can't lie, I find myself constantly overly influenced by CivilWarLand and "CivilWarLand in Bad Decline," in particular. A lot of things I've written in the past five years got their start merely from wondering WHY can't I write a short story as good as "CivilWarLand in Bad Decline"? I've tried. I'm not George Saunders. Can't be him. Happy with who I am, at last, as a writer. BUT I am thankful there is a George Saunders out there who continues to write disjointed tales in his beautifully idiosyncratic way. The melange of atrophic capitalistic dreams and nightmares fills his pages. Stories rife with the human toll society often takes, as we search hopefully to succeed at the kind of gain this country, at least, suggests is our one monomaniacal purpose on earth. Saunders looks at those who fall between the cracks, live on the margins, don't always get to see the light of day. We care about them because Saunders cares about them, teaches us that they are people, too. And there are more like them. And there's more to them, so much more, than we could possibly have expected at a superficial glance. 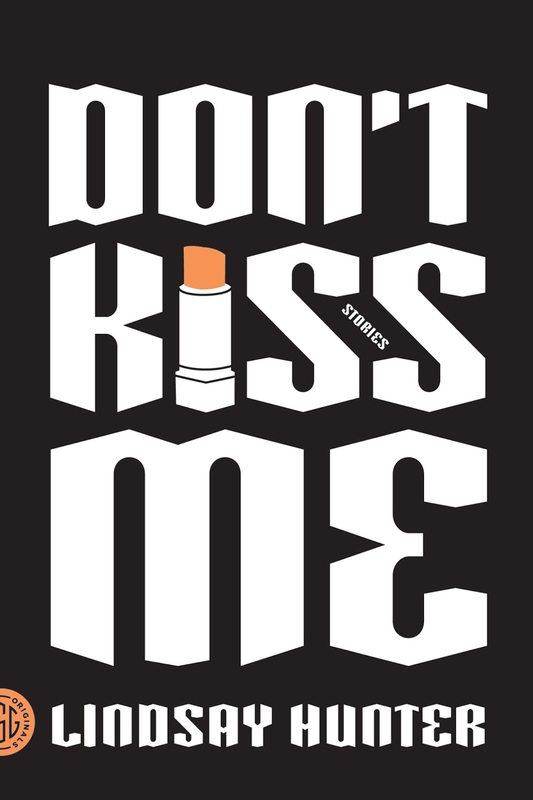 Don't Kiss Me (FSG, 2013) is a new classic, which I admit is a strange thing to call it seeing as it was only just released this past July. Lindsay Hunter is a writer you should expect to hear more and more from in the coming years. I was a fan of her work before I ever had the privilege of meeting her, and I was pleased that she's every bit as wonderful and kind and generous as I could hope she'd be. Her stories are amazing. I've heard people compare certain classic writers to her works and writing style, many of the southern tradition, and I would not disagree. Not exactly. BUT, where all that's concerned, I see Lindsay Hunter as a fascinating fusion of Southern and Midwestern traditions. 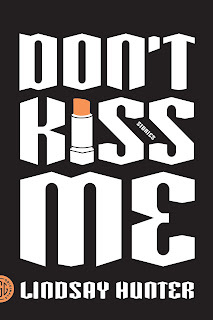 It's no coincidence, I think, that Don't Kiss Me was dedicated to Chicago. She understands certain notions that cross the complexly different and similar sociological patterns of the two cultures. Much as Middle America can look and maybe even feel the same to the outsider, to the East and West Coasters, it really couldn't be more philosophically disparate. And in her fiction, Lindsay Hunter often creates emotional collages of these often contradictory elements. Stories like "After" bring this notion immediately into focus. Certainly, with the ostensible rural dialect of her first-person narrator, you could attribute this story to anyplace outside the urban and suburban sprawl in the post-apocalyptic United States. Anywhere troubles abound, which Lindsay Hunter recognizes seems to be everywhere. It's fun. It's the most fun you'll have in a society of ruin. Lots of gross descriptions loaded with black comedy. Bodies that are literally falling apart. Lindsay Hunter's work tends to walk the tightrope between what could happen and what is surreal. It's a delicate balancing act, but she has a way of making the improbable seem possible and the everyday seem spectacular. It's enviable and I hate her for it. But I get to read her stories, so in the end, I'd say I probably don't actually hate her for it / am happy she's out there, writing. She has a novel in the works. I consider that a very good thing. 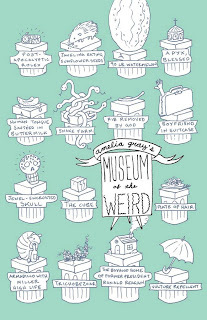 As much as I'm thrilled Amelia Gray moved right into prime time with the release of THREATS (FSG, 2012), I'm certain to remain a devotee of Museum of the Weird (Fc2, 2010). With a title like that, how could it not be my favorite of her books? I ask you! 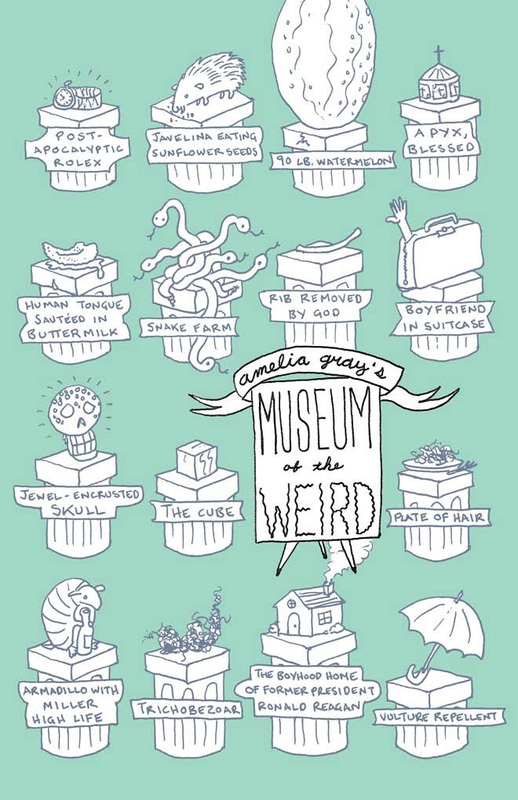 And it's truly a museum of the weird. Stories like "Dinner" -- which I've taught to my high school students, and they typically enjoy puzzling over its disgusting dilemma: a woman must decide whether or not to eat a plate of hair. It's perfect for that age, too, because it asks them to reflect upon the possibility of pressure from a peer or more specifically a possible romantic interest and decide how far they'd be willing to go to prove their devotion. (I've yet to meet a student who would eat the hair in that situation, although they have said they'd do it for a lot of money.) There's also the killer who calls himself "God" and removes two ribs from men's rib-cages. Amelia Gray has such a gentle style of prose, casual and really pleasant to ease into reading. It is always fun to watch how it reveals her often disturbing or at least irreverent narrative turns. It creates a fantastic amount of tension, too. I suppose I'd liken it to the greats of the past. She brings to mind the matter-of-factness despite its twilight zone subject matter of writers like Shirley Jackson, Roald Dahl and, yes, George Saunders. She's great at picking out minutiae to have her characters obsess over, too, like a bag of frozen tilapia, a human tongue for possible ingestion or the hostage negotiating skills of javelina. Prepare yourself and enjoy. 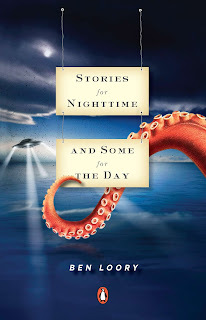 Stories for Nighttime and Some for the Day (Penguin Books, 2011). I've reread this book a couple times now. It's really a wonder of spare prose and fabulism. Loory is so subtle, so precise with his strangeness. I heard him explain to Brad Listi on the Other People Podcast that he has certain, if I'm not totally bungling this, mathematical methods for determining some of the plot turns and whatnot. That just sounds cool to me. And it works, if that's actually what he does. It works well. His stories are mazes of ambiguity, reminding me of Kafka in some respects but really are something entirely new. Fiction that's all his own. And the darkness that floats through his work is so appealing. Even in stories with "happy endings" we get this sense as readers that the other shoe is soon to drop. Things can be very grim, especially in the world of fiction. It's why we keep reading. We want to see things. Loory wants to tell you things. His characters are meant to experience things. Certainly he develops a sense of who they are, these characters, at their core. But he's more interested in how the nameless will respond in any given situation, at least that's been my takeaway. It's why almost no character in any of the stories, certainly no main character, is referred to as anything other than "the man" or "the woman." You don't need to know. Judge them by their actions, or their paltry little circumstances, as Nietzsche might refer to them. HONORABLE MENTIONS: Adam Levin's Hot Pink, Mathias Svalina's I Am a Very Productive Entrepreneur, and Patrick Somerville's The Universe in Miniature in Miniature.